At least 8 out of 10 pediatric patients that I see with rash have eczema. In babies, the rash of eczema is most often on their face and neck. In older children, the rash is often seen on legs and arms, but can spread to chest and back as well. Eczema affects many people and can be a lifelong condition. Eczema, also called atopic dermatitis, is a skin condition caused by the body’s immune system overreacting. Our immune systems are supposed to help us fight off diseases caused by germs like bacteria and viruses. But, in people who have eczema, the immune system thinks that normal things like dust or pollen are attacking their bodies. This means that the skin is inflamed most of the time, even though there is no infection to fight. This leads to dry and itchy skin. Itchiness is one of the major characteristics of eczema. For this reason, some have called it “the itch that rashes”. The itchiness causes scratching, which leads to more inflammation (redness, swelling, etc), which causes more rash and more itching. One of the keys to treating eczema is breaking the itch cycle so that the skin can heal. There are a lot of things patients and parents can do at home to help prevent itching. The most important part of taking care of your child’s skin is keeping it moisturized. Despite what people think, lotion is not the best tool for moisturizing skin. Ointments are much better because they are thick and greasy and stick to the skin better. Believe it or not, old-fashioned petroleum jelly is one of the best things out there. Your child’s doctor can give you other recommendations for moisturizing ointments. It is also important to give your child plenty of water and to make sure he or she bathes every day. Remember, moisture, moisture, moisture! While moisture is very important for everyday eczema care, it will not prevent all outbreaks, or flares. Sometimes, the itch breaks through. When that happens, talk to your child’s doctor about when and how to give Benadryl or other medications to your child. If the itch and rash still won’t go away, and your child’s skin gets dry, itchy patches, it is time to see your doctor. Your doctor will decide when it is time for medicated ointments that calm down your child’s over-reactive immune system. Your doctor will let you know how long to use these medicines and when to seek further medical attention. 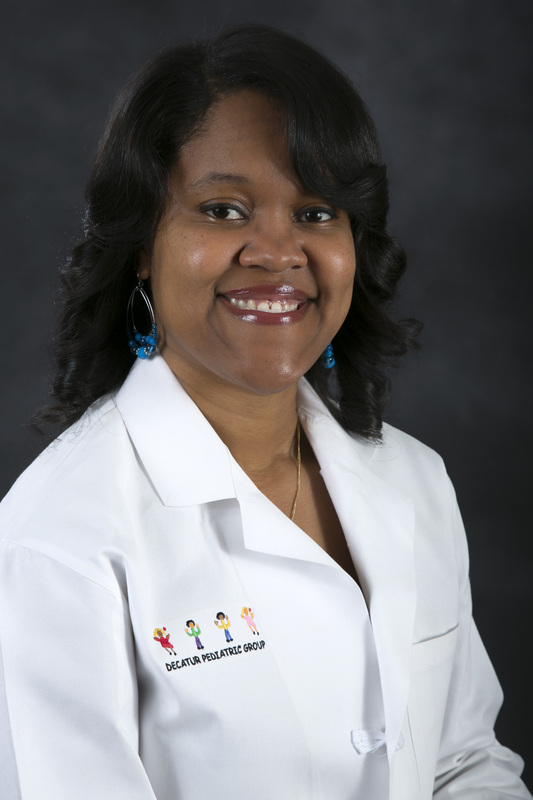 LaKesha Davison, MD, FAAP, is a general pediatrician at Decatur Pediatric Group in Atlanta, GA. You can find her on facebook at www.facebook.com/DecaturPediatricGroup.